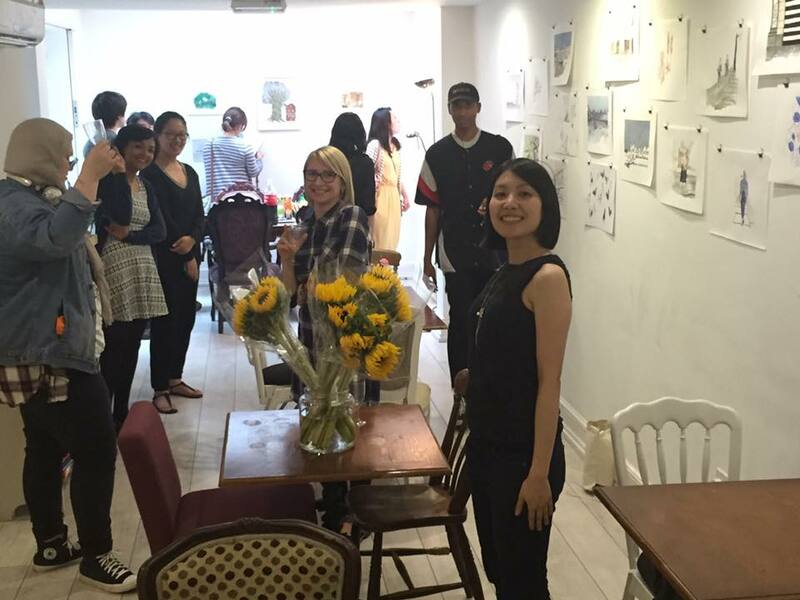 This week, myself and two other friends, Anatasija Pudane and Yuri Tayama hosted our private view for a our little exhibition held at the lovely LAGU cafe in Clapham. It was great and worth the stress, because the results were great and we were proud of what we could accomplish with a little sweat and motivation from some great friends! Here are the pieces I made for the show! mixed media on craft paper. This series of drawings were inspired by my ever growing observations of London! Can you recognize the places? ?